How do clearance and liquidation websites work? Retailers liquidate stock, meaning they sell it off cheaply and in bulk, because they can’t sell it at full value through their brick-and-mortar stores or their websites. Why can’t they sell it at full value? Well, liquidation stock might include customer returns, that take a lot of manual work to check over, and even then can’t be repackaged in exactly the same way as when they were new. Or it might simply be overstock – the retailer bought too much of a particular product and has been unable to sell it all. When new products come along that will sell better, they need to make room in their warehouses and on their store shelves. To clear this stock quickly, retailers often sell it to specialist liquidation companies very cheaply and in very large volumes. This gives them a quick return and minimizes the time they have to spend examining and cataloging the stock. The liquidation companies then process the inventory item-by-item, package it into boxes or pallets, set the price, and sell it on to smaller businesses and marketplace sellers. The majority of websites listed here work in this way. Some clearance and liquidation auction sites, like BoxFox and B-Stock, connect buyers and sellers directly, as an online marketplace, rather than buying the stock themselves. Top liquidation and clearance websites in the U.S.
888 Lots offers more than 100,000 brand new products in over 30 categories. Lots are fixed-price but buyers can negotiate with their sales representative. You have to register and complete a customer application form to buy stock from 888 Lots. They require a valid resale certificate if you are a U.S. customer, or a valid business registration if you are outside the U.S.
888 Lots sells individual clearance items as well as larger lots. There is no minimum order as long as you buy the full quantity of any particular SKU. There is also no maximum spend, although there are limits on credit card payments. 888 Lots offers two paid subscription plans that get you access to more merchandise, higher credit card spending limits and discounted shipping. Pallets come with detailed manifests containing product images, descriptions, condition, ASIN, Amazon sales rank, review rank and estimated profit for each item. Items are brand new with a minimum of 90% “giftable” condition unless otherwise stated in the manifest. If needed, 888 Lots can provide chain of custody documentation showing where the liquidation stock came from. Shipping costs are automatically calculated when you place items in to the shopping cart, or alternatively you can arrange your own shipping. 888 Lots also operates Miami Lots, offering inventory from Amazon’s Lost & Found. BlueLots partners with some of the largest brands, ecommerce retailers, and manufacturers in the United States to help liquidate their excess inventory. They don’t mark-up inventory and instead make a profit by charging the retailers themselves. New lots are posted online twice a day. Prices are fixed and not negotiable. You can browse clearance lots online without an account, but to view complete inventory manifests and to make purchases, you have to register. Customers with operations in California need to provide a resale certificate. BlueLots charges a flat-rate shipping fee of $40 per case and $200 per pallet, for any address in the contiguous United States. You cannot arrange your own shipping. BoxFox runs online auctions to sell clearance lots direct from retailers. It’s free to join. BoxFox only sells new merchandise such as excess inventory, not customer returns. However, items may have been on retail shelves and show signs of being on display and having been handled by staff and customers. BoxFox sets an appraisal value for each liquidation item, based upon product databases from multiple online marketplaces, and prior sales prices and velocity on BoxFox. You can bid above or below this amount. BoxFox also has an asking price for each lot, and any bids above the asking price will automatically be accepted at the end of the auction. If the final bid is less than the asking price, the seller will have one full business day to accept or reject the bid. BoxFox provides individual product photos, ratings, market value estimations, and tools to calculate profit potential. Each auction lasts 3 business days. You pay shipping and a 5% commission each time you buy, and there is a $3,000 credit card limit over a rolling 30-day window. Inventory is shipped directly from the seller to the customer, so BoxFox cannot provide shipping costs at the time of auction. They do, however, provide links to shipping calculators, so you can estimate these costs. BULQ partners directly with many top retailers and other suppliers in the United States. New liquidation inventory is listed online three times a day. Some lots are fixed-price and are not negotiable, others are sold via 48-hour auctions. You do not need to register to browse clearance lots, but must have a BULQ account to make purchases. BULQ requests resale certificates from all customers. There is a maximum spend of $10,000 per day on BULQ.com (excluding shipping, payment processing fees, and taxes). BULQ do not accept returns or exchanges, but will investigate claims if the difference between the manifest provided and the goods received is greater than 2%. BULQ typically charges a flat shipping fee of $200 per pallet and $30 per case, and can ship anywhere in the contiguous United States. For full truckloads, however, you must arrange your own shipping. Direct Liquidation is an online, auction-based marketplace selling liquidation stock. The website covers products from over 100 different categories. Items can be overstock, shelf-pulls, or end-of-life products from North America’s largest retailers and manufacturers. Direct Liquidation also refurbishes items to the manufacturer’s original standards. In order to bid, you must register for a free user account. You can search for merchandise by keywords, category, and/or the condition of products you are interested in seeing. Like eBay, Direct Liquidation had a proxy bidding model. You enter your maximum bid upfront, then the system will automatically submit the lowest bid required to make you the top bidder. There is also a Buy Now price and a Make an Offer option on some items, allowing you to bypass the auction process. Each auction contains a detailed downloadable manifest containing item descriptions, condition, quantity, model numbers, UPCs and retail price. For refurbished items, Direct Liquidation provides a 90-day warranty from the date of product pickup. In very limited circumstances Direct Liquidation will accept returns, if the merchandise is in a grossly different condition or quantity than stated. Customers can choose to have Direct Liquidation handle the shipping or arrange shipping for themselves. Liquidation.com runs online auctions to sell clearance lots by the truckload, pallet, or box, with conditions ranging all the way from new or refurbished to used or salvage. Product categories include apparel, computers, electronics, housewares, industrial equipment and vehicles. The majority of Liquidation.com auctions begin bidding at $100 with no reserve. New auctions are added daily. There is a Buy Now function to allow you to bypass the auction process. You must register as a buyer to make a bid. You can browse auctions using a keyword search or advanced search, and arrange to be notified automatically when items of interest are added to the site. Transactions over $5,000, or from outside of the U.S. will require payment via wire transfer. Top liquidation and clearance websites in the U.K.
BritDeals offers over 100,000 liquidation items in more than 30 different categories. Their clearance inventory is brand new with a minimum 90% “giftable” condition unless otherwise stated in the manifest. Prices are negotiable and customers must sign up as a member to make purchases. BritDeals’ manifests include UPC, RRP, sales rank, current selling price on various marketplaces and net profit after fees on Amazon. BritDeals charges a flat rate fee for shipping. Gem Wholesale have been selling ex-catalog customer returns and clearance stock for over 40 years. They have two large warehouses in North Wales, and their website is updated with new liquidation stock daily. Goods are sold in mixed pallet or parcel lots and every pallet is different. Prices are fixed. Each pallet comes with a stock list detailing catalog numbers, item descriptions and RRPs. Each lot is given a grade which indicates the quality and condition of the items in the pallet. You can place an online order without a login, but creating an account will allow you to track your current order and view past orders. 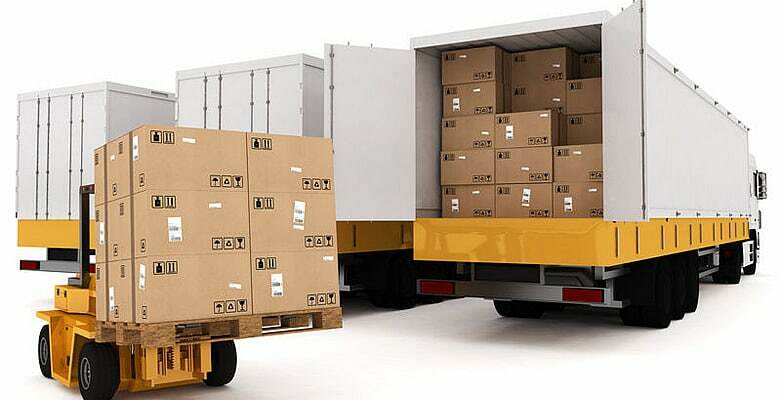 There is a flat-rate delivery fee of £40 per pallet in England and Wales (or £55 for next day delivery). i-bidder.com is a portal for online trade auctions, covering a range of discounted new, surplus, clearance, used and returned stock. They support a network of U.K. auction houses which collectively sell more than 2 million items every year. You need to register online, and an auctioneer will need to approve your account before you can bid. i-bidder.com strongly recommends that you request a “condition report” from the auctioneer. This is a document describing the appearance and quality of a lot in detail. You can request further information or additional photographs using the “Ask a question” link on the lot page. Delivery costs vary depending on the type of lot, auctioneer, and delivery address. The auction house selling the lot may offer their own delivery solution, provide details of firms they work with, or you may need to organize your own delivery. Marthill is a large supplier of clearance and returned ex-catalog and retail store merchandise, based in Nottingham. You can buy online or in person at their warehouse. Marthill sells goods by the pallet load, covering a large range of liquidation products in different categories. No two pallets are exactly the same. Each one is shrink-wrapped and has its own detailed manifest including the asking price and estimated retail value. There is no minimum order quantity but bulk buyers can purchase discounted 20ft and 40ft containers. Marthill has a flat rate delivery cost of £45 per pallet for England and Wales (£55 for next day delivery). They can also deliver internationally. 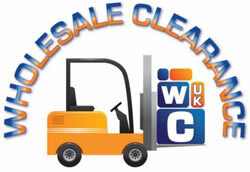 Wholesale Clearance UK is an online supplier of liquidation stock and end-of-line clearances, based in Dorset. Stock is regularly updated online. Wholesale Clearance do not require a trade account or registration, and they allow viewing of stock prior to purchase. There is no minimum spend as long as you buy the listed quantity of any particular SKU. They offer free UK delivery on orders over £250, as well as international delivery and assistance with VAT reclaim. Unusually, they have a seven-day return policy which means you can return your stock for any reason and receive credit. B-Stock runs liquidation auction sites in multiple countries, connecting buyers and sellers directly. Retailers and manufacturers from across the U.S., Canada, Europe and Asia use B-Stock to run clearance auctions. The merchandise being sold varies depending on the marketplace. Individual lots can be of any condition from “new in box” to refurbished or even salvage condition. Customers must apply separately to each marketplace since each company has its own approval criteria. There is no registration fee for any of the marketplaces. Shipping options also depend upon each marketplace. Some have buyer-arranged shipping only, while others calculate shipping costs for each lot individually. Some have flat rate or even free shipping. Selling liquidation stock is a popular but challenging business model. Rookie sellers often believe they can make huge profits by buying cheap inventory and selling it at the full retail price. But profit margins often fall far shorter than planned. A common problem with buying liquidation stock is it is often difficult to know exactly what you are going to get. The condition of the items makes a huge difference to the value. Products can be faulty or broken, or might need repackaging or repairing. Even goods categorized as “new in box” might have dirty packaging from being on shelves for a long time. You can get “good” pallets and “bad” pallets, and it’s not always possible to know which it is going to be just from studying the manifest. Many liquidation sellers will include in their manifest an indication of MSRP (manufacturer’s suggested retail price), which can make potential profit margins look appealing. But the true value of a product is the price that it’s selling for now, not the suggested retail price. By the time that products hit the liquidation channel, the current price will often be way below the MSRP. Detailed and accurate manifests are very important. However, be aware that the more detail in the manifest, the higher the liquidation company’s processing costs and therefore the higher their mark-up. You have to find a combination that works for you in terms of risk, investment and profit potential. Are the prices fixed, negotiable or set by auction? Do you need to register in advance to purchase? Do they require a resale certificate? Are there minimum or maximum spending limits? What details do they provide in their manifests? How much is shipping, and what options are available? What is their policy and process if the goods don’t match the manifest? Once you have received the goods you will need to factor in your own processing costs to fully catalog the items (descriptions, photos etc.) and get them into saleable condition. This can take a lot of time and completely erase your profits. So what is the best way to maximize your chances of making a profit when buying clearance or liquidation stock? Get a resale certificate – most U.S. liquidation companies require one before you buy from them. Analyze the manifest – get as much detail about what you are buying as you can. Understand manifest variance – you could be entitled to some money back if the goods vary significantly from the manifest. Know all your costs – liquidation stock can be very time consuming to process and can tie up money for long periods of time. Consider quality and grading – there might be little detail on the goods’ quality in the manifest, so get to know the company and their grading specifics before buying a lot of stock. Plan the logistics – shipping costs can vary widely, and you might be tied to using the company’s own logistics provider. Specialize – build up your knowledge and expertise in a specific product category. Watch out for expiration dates – clearance products can be in the supply chain for a long time. Build up slowly – don’t spend your full working capital at once. Take small risks and build up your knowledge slowly but surely. Get the process right, and there is a huge amount of money to be made. Get it wrong, and it could ruin you. Customers want better and better deals, and the liquidation business provides one way to give that to them. Learn the ropes, gain experience, and use it to your advantage.